A new study into the unique evolution of human intelligence has raised ethical concerns after Chinese scientists implanted human brain genes into monkeys to boost their development. They found the monkeys' brains -- like those of humans -- took longer to develop, and the animals performed better in tests of short-term memory as well as reaction time compared to wild monkeys. 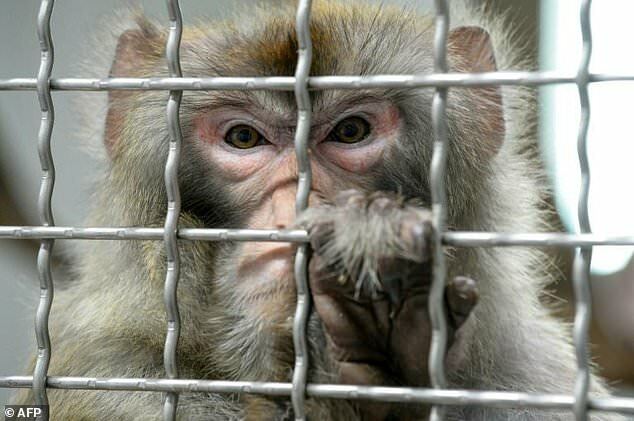 The test, the latest in a series of biomedical experiments in China to have fuelled medical ethics debates, has already drawn ethical concerns, and comparisons with dystopian sci-fi 'Planet of the Apes'. 'Our findings demonstrated that transgenic nonhuman primates (excluding ape species) have the potential to provide important -- and potentially unique -- insights into basic questions of what actually makes human unique,' the authors wrote. The authors said the rhesus monkey, though genetically closer to humans than rodents, is still distant enough to alleviate ethical concerns. However, some questioned the ethics of the experiment. 'You just go to the 'Planet of the Apes' immediately in the popular imagination,' said Jacqueline Glover, a University of Colorado bioethicist. 'To humanise them is to cause harm. Where would they live and what would they do? Do not create a being that can't have a meaningful life in any context,' she told MIT Technology Review. Larry Baum, a researcher at Hong Kong University's Centre for Genomic Sciences, downplayed sci-fi comparisons. 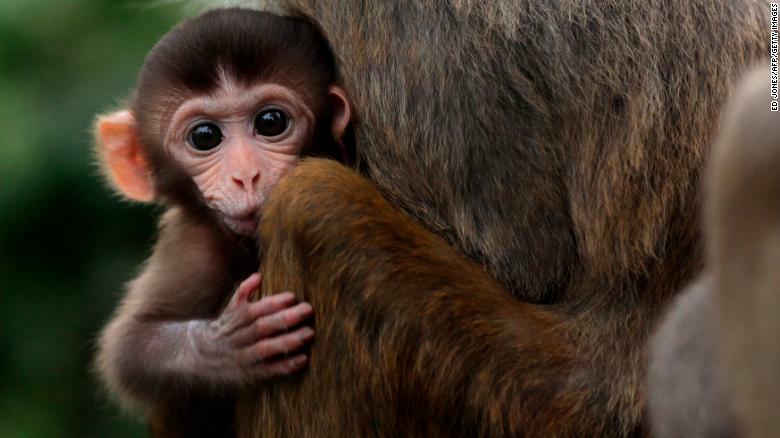 'The genome of rhesus monkeys differs from ours by a few percent. That's millions of individual DNA bases differing between humans and monkeys,' he said. London — An HIV-positive man in the UK has become the second known adult worldwide to be cleared of the AIDS virus after he received a bone marrow transplant from an HIV-resistant donor, his doctors said. Almost three years after he received bone marrow stem cells from a donor with a rare genetic mutation that resists HIV infection — and more than 18 months after he came off antiretroviral drugs — highly sensitive tests still show no trace of the man's previous HIV infection. HIV/AIDS experts said the case is proof of the concept that scientists will one day be able to end HIV/AIDS, and marks a "critical moment" in the search for an HIV cure, but does not mean that cure has already been found. The man is being called "the London patient", in part because his case is similar to the first known case of a functional cure of HIV - in a US man, Timothy Brown, who became known as the Berlin patient when he underwent similar treatment in Germany in 2007, which also cleared his HIV. Brown, who had been living in Berlin, has since moved to the US and, according to HIV experts, is still HIV-free. About 37-million people worldwide are currently infected with HIV and the AIDS pandemic has killed about 35-million people worldwide since it began in the 1980s. In recent years, research into the complex virus has led to the development of drug combinations that can keep it at bay in most patients. "This was really his last chance of survival," Gupta said. The donor — who was unrelated — had a genetic mutation known as CCR5 delta 32, which confers resistance to HIV. The transplant went relatively smoothly, Gupta said, but there were some side effects, including the patient suffering a period of graft-versus-host disease — a condition in which donor immune cells attack the recipient's immune cells. Most experts say it is inconceivable such treatments could be a way of curing all patients. The procedure is expensive, complex and risky. To do this in others, exact match donors would have to be found in the tiny proportion of people — most of them of northern European descent — who have the CCR5 mutation that makes them resistant to the virus. "Although this is not a viable large-scale strategy for a cure, it does represent a critical moment," said Anton Pozniak, president of the International AIDS Society. "The hope is that this will eventually lead to a safe, cost-effective and easy strategy … using gene technology or antibody techniques." Specialists said it was also not yet clear whether the CCR5 resistance was the only key — or whether the graft-versus-host disease may have been just as important. Both the Berlin and London patients had this complication, which may have played a role in the loss of HIV-infected cells, Gupta said. His team plans to use these findings to explore potential new HIV treatment strategies. "We need to understand if we could knock out this receptor in people with HIV, which may be possible with gene therapy," he said. 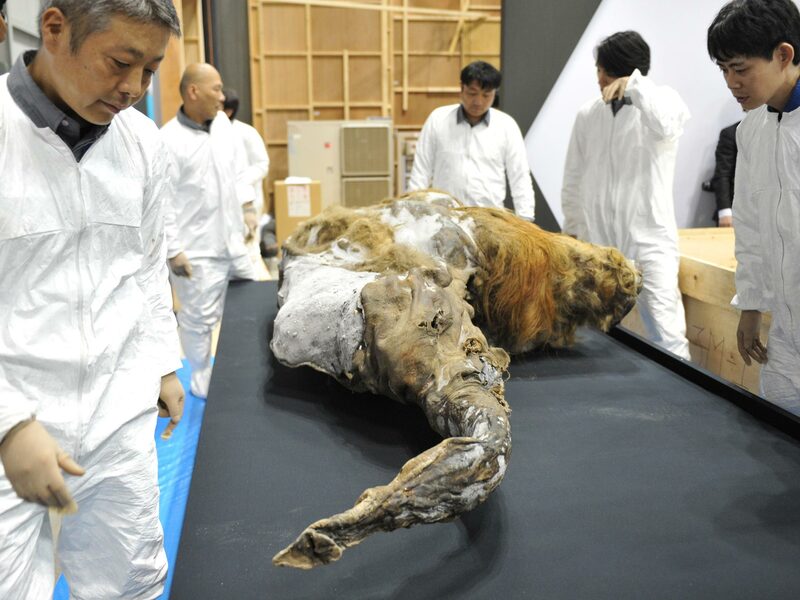 Scientists in Japan claim to have taken a “significant step” towards bringing the extinct species back to life, after they transplanted cells extracted from the carcass of a mammoth into a mouse, where they subsequently recorded positive biological activity. The cells were taken from the 28,000-year-old mummified remains of a woolly mammoth, named Yuka, found in Siberian permafrost in 2010. 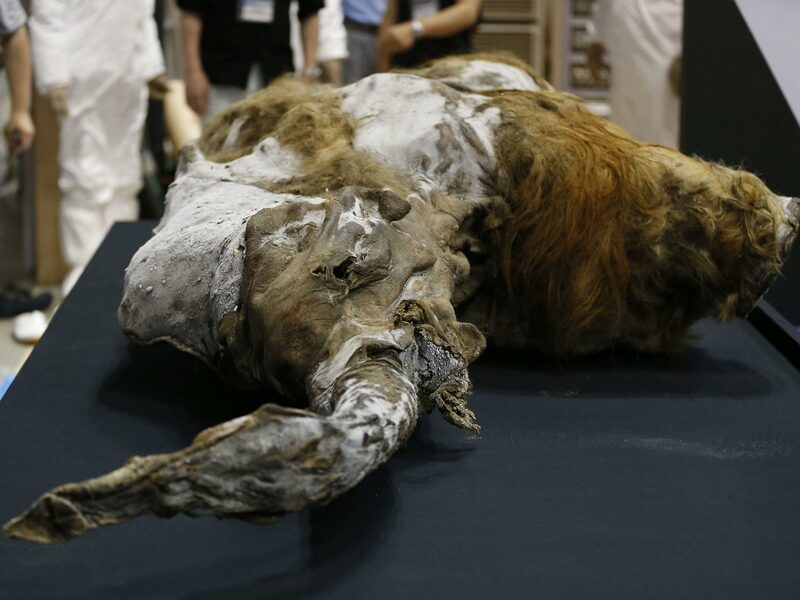 The animal, which died when it was about seven-years-old, is one of the best preserved mammoths known to science. The team extracted tissue samples from the animal’s bone marrow and muscle, which they described as “well preserved”. They then began searching for cell nuclei remains. In total, 88 nucleus-like structures were collected from the muscle sample. The structures were then injected into mouse oocytes – a cell in an ovary which can undergo genetic division to form an egg cell. The team said following the procedure a “pronucleus-like structure budded from the injected … mammoth nucleus”. They also found possible signs of repair to damaged mammoth DNA. “These results indicate that a part of mammoth nuclei possesses the potential for nuclear reconstitution,” the scientists said, in a paper published in the journal Nature. Despite the successes, the scientists did not observe the further cell division necessary to create a viable egg, “possibly due to the extensive DNA damage in the transferred nuclei”. 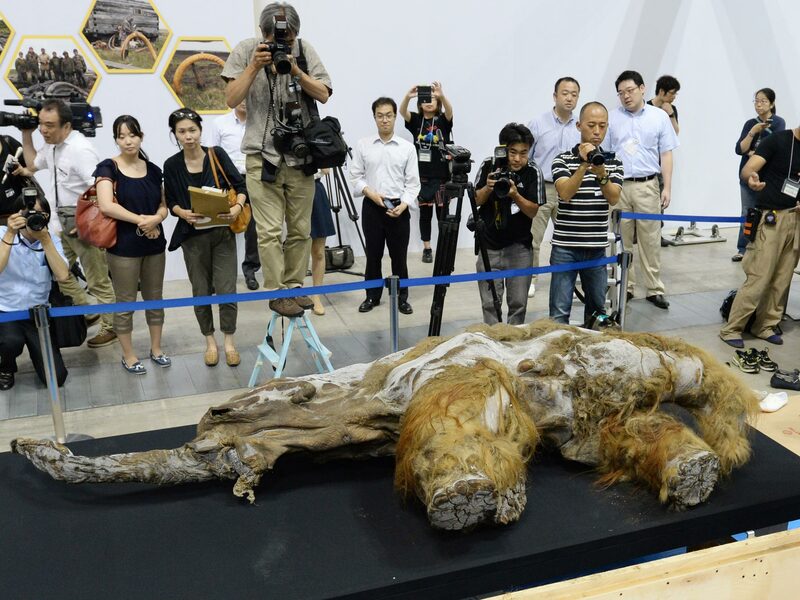 This marks a “significant step toward bringing mammoths back from the dead”, researcher Kei Miyamoto, one of the study’s authors told Japan’s Nikkei news outlet. “We want to move our study forward to the stage of cell division,” he added, but acknowledged “we still have a long way to go”. Most mammoth populations died out between 14,000 and 10,000 years ago. The last mainland population existed in the Kyttyk peninsula of Siberia until 9,650 years ago. But the species survived for another 5,000 years on Siberian islands, which became cut off from the mainland by retreating ice following the last ice age. The last known population remained on Wrangel Island in the Arctic Ocean until 4,000 years ago – well beyond the dawn of human civilisation, but finally becoming extinct around the time of the construction of the pyramids of Giza in Egypt. There is no scientific consensus on the chief cause for the creatures’ demise, but climate change significantly reduced habitable parts of the globe for mammoths, and they were also hunted by humans. When a hungry fox snuck into a chicken pen at an agriculture school in northwestern France, it got a lot more than it bargained for. On their morning rounds Thursday, students at Le Gros Chêne school in Brittany found the fox's lifeless, mutilated body lying in the corner of the pen. "There, in the corner, we found this dead fox," Pascal Daniel, the head of farming at the school, told the Agence France-Presse news agency. "There was a herd instinct and they attacked him with their beaks." The fox is believed to have become trapped inside the chicken pen by light-controlled sensors that close the doors when the sun goes down, leaving it at the mercy of the angry mob. Some of the 6,000 birds ganged up on the fox and pecked it to death. 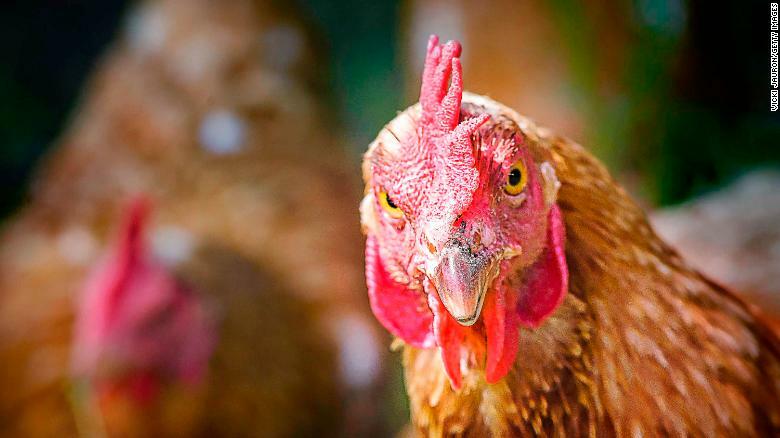 "I found him pecked by the chickens," Daniel told French radio station RTL. Students found the fox's carcass in a corner of the chicken pen when they were carrying out their morning rounds. "These are chickens which live in the open and are used to fighting against buzzards. 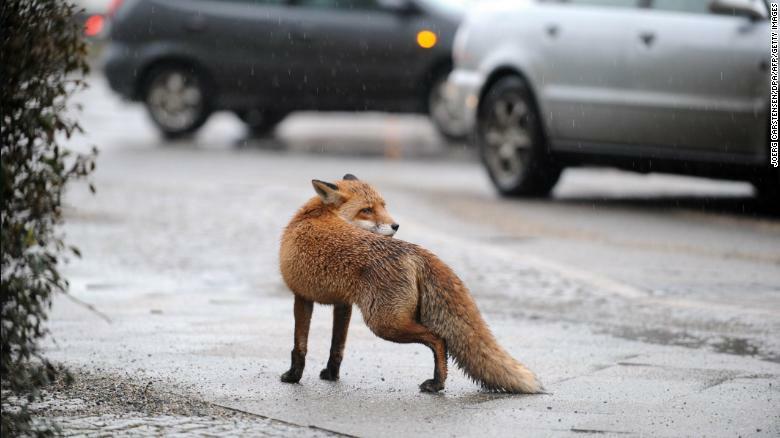 So, when the fox entered the chicken pen, they made the most of getting rid of him, and the fox found himself trapped." The chickens, in a group, wedged him in a corner and attacked him until the fox's stomach was completely pecked." Daniel noted that chickens may have turned up en masse and surprised the "young and inexperienced" fox. He told the radio station that the chickens have been in their pens since July and have "learnt how to defend themselves" over the space of seven months. The luckless fox is not the chickens' first victim; the students regularly find "devoured" pigeons in the pen as well. Nevertheless, Daniel said the formidable birds are not to be feared, describing them "very lively," spending most of their time outdoors on the organic farm. The radiation may also pose a health risk for astronauts. 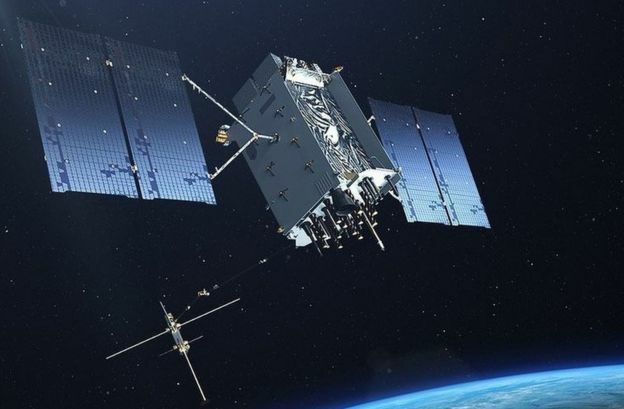 And passengers and crew on commercial aircraft that fly at high altitudes and close to the poles, such as on transatlantic routes, could receive increased radiation doses - though this depends on many variables. 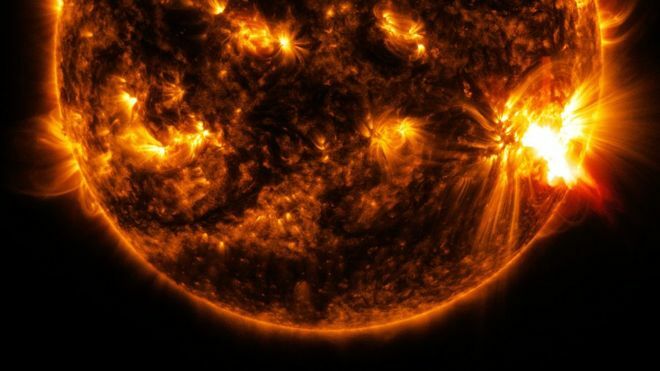 "There are high-energy solar energetic particle events, or solar proton events. These are the high energy particles directly hitting Earth and producing the particles we measure," co-author Raimund Muscheler, from Lund University in Sweden, told BBC News. 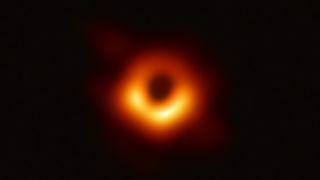 "Connected to this are also the lower energy particles that come usually within 1-4 days to Earth. These produce the geomagnetic storms." Modern instrumental monitoring data extends back about 60 years. So finding an event in 660BC that's an order of magnitude greater than anything seen in modern times suggests we haven't appreciated how powerful such events can be. There wouldn't have been any appreciable signs of the event to people alive at the time. But if there were any associated geomagnetic storms, it might have triggered aurorae at lower latitudes than is usual. 660BC was the date, according to legend, when Japan's first emperor - Jimmu - acceded to the throne. It was the time of the Iron Age in Europe and the Middle East - before the rise of the Roman Empire. "Our event is about the same size as [the event in 774/775]. There is some uncertainty, but they look very similar," said Dr Muscheler. 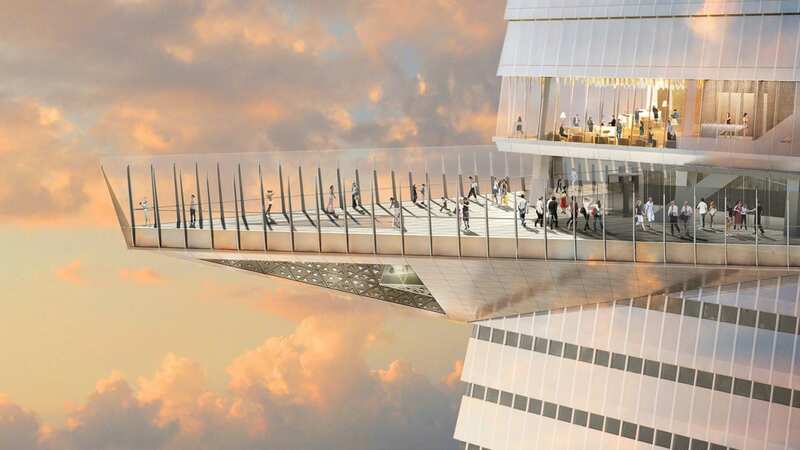 Very soon New York will have "the edge" when it comes to magnificent outdoor observation decks. Already home to some of the most famous viewing spots in the world, the Big Apple is about to add another to its impressive collection. Named Edge, the upcoming Hudson Yards observation deck is set to open next year, with incomparable views of the city skyline. 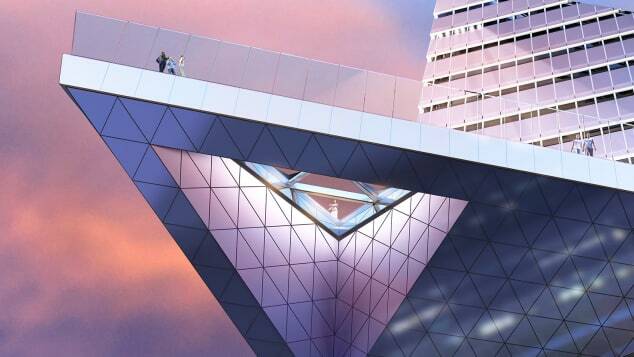 Standing at more than 1,100 feet, Edge will be the tallest outdoor observation deck in the Western Hemisphere and the fifth highest in the world. After hopping on an elevator for 60 seconds, visitors will arrive at the 7,500-square-foot outdoor viewing area, which extends 65 feet from the 100th floor of the new 30 Hudson Yards tower and includes a glass floor, offering visitors a bird's-eye view of the city. Edge also holds a signature 10,000-square-foot restaurant as well as a bar and event space. While a launch date hasn't been announced as yet, group bookings are opened for the first quarter of 2020. "Edge invites visitors to walk out into the sky and embrace unobstructed, panoramic views of New York City like never before," says Jason Horkin, executive director of Hudson Yards Experiences. "The name reflects both the unique structural design, which pierces the sky when observed from below, and the exhilarating feeling of being on the brink of something exceptional -- exactly where you are on edge." Once launched, Edge will stand taller than the observation deck at the Empire State Building, which is 1,050 feet above street level, as well as Top of the Rock at the Rockefeller Center, 850 feet above street level. 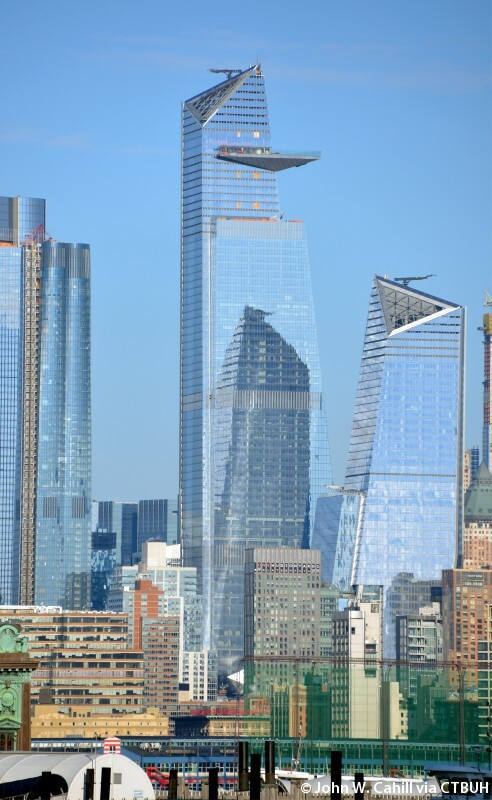 The 30 Hudson Yards tower was designed by William Pedersen of Kohn Pedersen Fox Associates as part of Manhattan's newest neighborhood Hudson Yards. Built over 28 acres of a working rail yard on Manhattan's west side, Hudson Yards is the largest ever privately built real estate project in the US, with a cost of around $28 billion. The complex will also include more than 100 shops and restaurants; The Shed, a cultural and performing arts venue and a public square and gardens.